2nd Annual Wooly Bear Winterfest! Meet at Gateway Park, located at 2176 N. Riverboat Rd., (just off Commerce St. and the Humboldt St. Bridge….map) Noon-4pm Free event, open to all! Build A Snow Fort! (No snow???? You can still Take a Hike!) 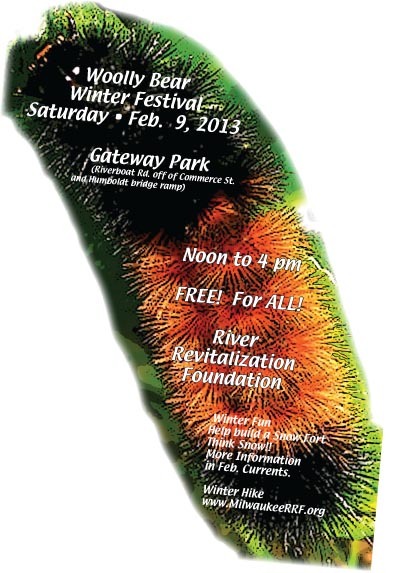 – Winter Hike Learn About River Revitalization Foundation and our new acquisition next door! Make bird feeders for birds and wildlife!